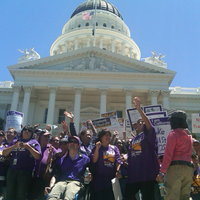 On June 5, some 8,000 government employee union members rallied at the California capitol. “We’re letting them know this is our house!” said union boss Yvonne Walker of the Service Employees International Union (SEIU), California’s largest government employee union. As it happens, Walker is right. Government employee unions do own the place, and members helpfully explained how it works. “We’ve done our part,” a state lottery employee told reporters. That part would be helping elect big-government, tax-hiking politicians such as Governor Jerry Brown. 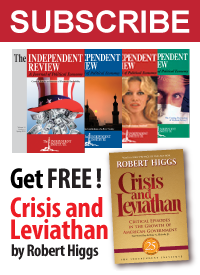 As a news report noted, “Brown leaned heavily on labor’s backing to win the 2010 gubernatorial race. Ditto for Democrats seizing supermajorities in both state legislative chambers last fall.” Now the government employees want more money and nobody should be surprised that the governor will pay up.